Nearly 100 people turned out in support of an organized nation-wide rally to protest current U.S. Immigration policy. 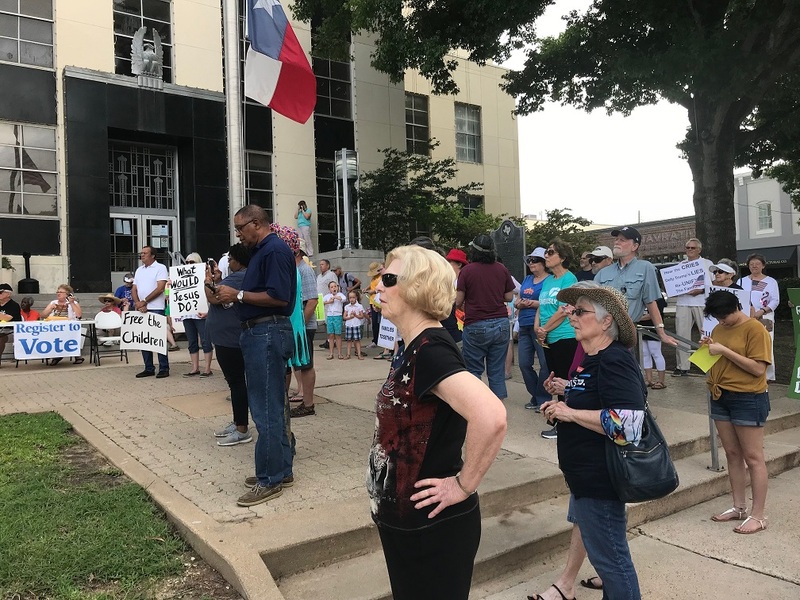 Citizens gathered at the Washington County Courthouse to protest the separation of immigrant families at the border. Many who gathered held up signs in support of immigration demonstrators. Margarette Boswell, one of the local organizers, says this is just one of 650 rallies going on across the country. Several guest speakers addressed the dozens who gathered with emotional speeches. Reverend George Nelson inspired the crowd with an emotional speech. Boswell and other organizers say they felt a point still had to be made, even after President Donald Trump’s recent executive order. Part of the nearly 100 people who gathered on the courthouse square, Saturday morning. A handful of supporters of the President’s policy gathered across the street and peacefully voiced their opposition to the protesters’ views. 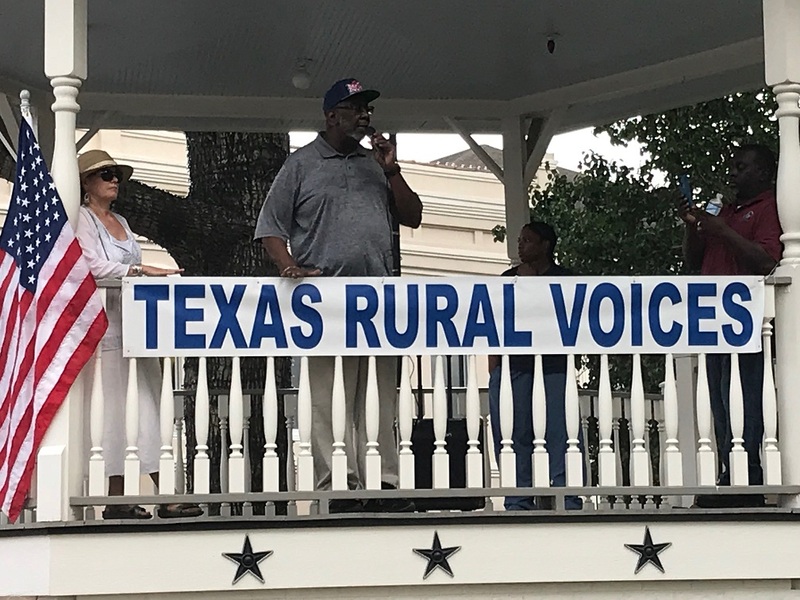 Written by: Ed Pothul on June 30, 2018.
why protest in Brenham? who would you be trying to get your point across to? 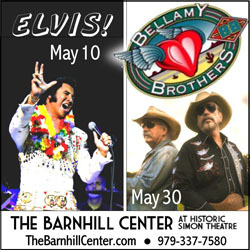 the Brenham court house? Brenham has nothing to do with your demented uneducated ideas. And basically all you did was waste your time, protesting in Brenham shows how lazy yall are. get off the couch and drive to the border and do your stupid protest. That is my courthouse lawn too, and until the county says no rally’s, I will continue to use my first amendment rights and be there for all of them. It was CLEARLY STATED by the organizer of the rally “WE DO NOT SUPPORT ILLEGAL CROSSING OF OUR BORDERS”. Maybe you should attend a rally and listen. Texas Rural Voices wants to see comprehensive immigration laws, and the sooner the better. The individuals and families at the rally want to stop the inhumane practice of separating children from parents. This country should not be committing acts of terror normally seen in third world Banana Republics. Maybe you need to listen to the National organizers and Democrat politicians. They want open orders and the complete elimination of ICE, you know, those guys that round up and deport gang members like MS13, by the way, Schummer, Pelosi and clan are even defending those murderers. Secondly 10,000 of the 12,000 children at the border came across with an adult that is not a parent or family member, those pesky laws you want eliminated were passed in 1996 to help stop child trafficking which is rampant. The rallies were organized by Moveon.org, a George Soros group. And as I have pointed out in other comments here, this started in 1996 under Clinton, continued under Bush 43 and Obama. Now suddenly it is a problem and all of the rallies held ONE WEEK AFTER President signed an EO to temporarily stop it till new legislation can be passed. But they hit a snafu, Schummer REFUSES to allow legislation permanently stopping this from passing, so since this was passed by Democrats and Democrats refuse to let a bill pass why are you blaming Trump and WHY NOW when it has been happening for over two decades. As for your rally you have every right just as I had every right to stand across the street with my sign. If you feel like this is something that should be happening to illegal immigrants, you are a racist. No simpler explanation. If you’re going to be racist, then do so, but don’t hide behind illogical reasoning. “Clear Explanation”, I can’t think of a better way to end an argument than by one side resorting to a personal attack with the race card and then saying the other side is illogical yet offering no logic. Thanks. Clear Explanation: It’s a federal offense to cross our borders, they are breaking the law. I urge you to read 8 U.S. Code § 1325 – Improper entry by alien. Also, I urge you to read the penalties for Mexico if you enter there illegally without papers or documentation. You’d be surprised at what the punishments are. Separation of children from families happens every day in the criminal world. Children HERE are ripped away from families by Child Protection Services under false allegations daily (and no – not illegal immigration, other reasons). The only people I’ve noticed who are racist in regard to this issue are the ones who keep using it as their argument to reunite families. There is nothing racist in this policy at all. It is just ‘convenient for some to use it to villify the current administration. However, we do need comprehensive immigration reform – along with a wall and eVerify. We have to be able to control who comes into our country. Immigrants are welcome – and necessary, but they must be documented and verified. This entire issues has been politicized. It is simply a matter of logistics and security. The US can not continue to assimilate undocumented immigrants. There real culprits at fault here are our Congress, for not begin able to work together to implement immigration reform that makes sense; the parents of the immigrant children for subjecting them to the dangers and possible separation, and the individuals that use children as a means to enter our country undocumented. Coming into a country undocumented is against the law. Stop making this a political excuse, and urge your congressman or congresswomen to work across party lines and create real immigration reform: A Wall, eVerify, streamlined processing, and efficient and proper processes and documentation. It’s this simple: If you don’t follow the legal immigration process, you DO NOT get to come into our country.We need to do whatever it takes to keep our country and citizens safe, but also LEGALLY allow decent hardworking immigrants to come into this great country – for ALL to benefit. I have worked beside and supervised many guys from Mexico and Central America and those guys came here with a plan and stuck to it. Blind im not though, there is also a definite dark side to the fact that immigration laws were so lax the last 8-12 yrs….at the beginning of the last century true immigrants from Italy, Poland, Germany, etc came here and officially went through the process to become Americans and thats the only flag they flew on US soil….i will admit and i hope all Americans understand, if all illegal aliens no matter of nationality were forced to leave the economy here would take a GIANT upturn. Suddenly, millions of jobs would be vacant and a bidding war would follow for workers. Salaries would go way up which means spending locally would go way up. Health care, auto insurance, etc would dramatically lower with uncovered and unlicensed people now out of the mix….its not being hateful, its the reality of the situation. I dont see why former Presidents havent put this in motion long ago…bottom line, its Americans for America and there shouldnt be any other way…..
Democrat Bleeding Heart Liberals do not presume you know what is going on down there on the Southern Border. It’s all Fake News. 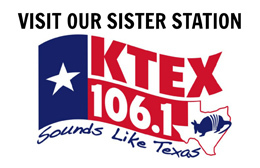 There are families that reside along the Texas border who live under the poverty level. Where’s their free housing, food and clothing? Stop spending hard working tax payers money on illegal aliens. Gather up the families, young adults and unaccompanied minors and send them back to their country of origin!! It would be interesting to ask each protester, “…so, HOW MANY ‘Immigrants’ have you taken into YOUR home”? In most cases, the protesters protest because 1)it makes them feel pious 2)it shows they “care” 3)they want to use OTHER PEOPLE’S TAX DOLLARS to further their agenda. American law breakers are separated from their families too, when they go to jail. Simple solution, DON’T BREAK THE LAW. I love this!!!! Great people and we need more of this. As a licensed social worker and former CPS worker, I can assure you the trauma that these children are experiencing from being separated from family is not okay… no matter what your political affiliation is. It’s about right and wrong, and its about humanity. No matter who is at fault, the children should not be put in this situation. Blame the parents, blame the government, but in the end… each of us should have the ability to put ourselves in the situation and think how we would feel if it was our child. My great grandparents came here from Germany. My Dad’s father was running away to escape being a teenager in a war he did not believe in. He stowed away on a boat and arrived in America… he was given a chance for a better life and as a result, so were my parents who were able to give me a better life. So, I am grateful that my family was accepted into this family generations ago. And as someone else commented, no one is saying that the process shouldn’t be followed, but parents who are taking great risks are likely doing so because they are wanting a better life for their family. And there are children who have been separated who’s parents were going the legal route. So, today is about the children and doing right by them. As CPS workers, we are given that responsibility when parents who are citizens are not doing right by their parents, so how can we think it is okay to impose this kind of trauma on innocent children. I also think that in this small community that has many people with strong religious ties, then look deep into your heart, your faith and try to do the right thing. There are 2.7 million children in this country with a parent in prison. 400,000 kids in foster care. About 750,000 with parents away serving in the military. Yet all of this fuss over 2,000 children AFTER President Trump signed an executive order to stop it. This was started by Democrats in 1996 under Clinton, continued under Bush 43 and Obama and suddenly is a big issue AFTER Trump took steps to stop it. Absolutely correct. While I am not a Trump supporter, I strongly support him on this issue. All the liberal do-gooders want to turn this into a political issue against Trump, even some members of his own party. I was leaning to voting for several Democrats come November but now am rethink doing so. One thing neither party has done is to put some real teeth into those who hire illegal aliens. There was a system in the early fifties that worked. Mexican citizens could come here to work, and then return home, The return home was enforced. The employer paid their medical cost, not the taxpayer. 10k of the 12k immigrant children at the border arrived with an ADULT who is NOT THEIR PARENT or family member. #ChildTrafficking is occurring en masse, yet ya’ll are are out protesting the laws ICE is enforcing to protect these children. I’m in my 40s, so I didn’t live through the ‘free love’ era. And I assure you, not a cent has been given to me to disagree with you, but disagree I certainly do. I’m also white, of German-heritage, an honors graduate of BHS, a born-here local, no criminal record, and a combat veteran with an honorable discharge. I support Second Amendment rights, and I’m anti-abortion. But I disagree with you on this. Let that sink in. I don’t think either side here agrees on the facts, so they’re not really arguing, just yelling at each other’s opinions, but that’s not my concern. I’m focused on only one thing, splitting the families up. If they are provably with mom-and-dad, let them live together while they await deportation, or hearings, or whatever happens. I don’t care if they camp in the desert on a military base in tents, or we pay to house them in the Marriot (so far as I’m concerned, for my tax-dollars, they deserve to live in a Marriot at least once in their lives, at least as much as our so-called political leaders who get free health-care for life, retirement, travel benefits, etc.). If they’re not provably with mom-and-dad (and I know nothing about how to demonstrate this, but that’s bound to be in the purview of Customs and Border Patrol responsibilities anyway), then make a case-by-case decision on whether they get moved to separate custody. Of course they’ve broken the law, and standards demand they pay for it. But literally the only thing such folks have to ‘give’ is more cost. Why convict them of a crime when the ONLY benefit the taxpayer will get is the additional cost of housing and caring for them even longer before they’re deported??! If we were going to ‘argue’ about something worthwhile, I’d argue the merits of giving due process to illegal aliens. But instead, everyone wants to argue about why it’s great to be mean to kids. Well, I got news for you, it’s NEVER right to be mean to kids. If you have to be mean to kids, just to punish their parents, what do we call that? By the way, that’s OUR lawn, not YOUR lawn. My tax dollars paid for it, same as yours, and I’ll exercise my rights there if I feel like it. Sheesh. Just because folks disagree with you, doesn’t make them foreigners. Lets be fair, illegals are doing this to themselves.and sadly their children suffer because of their illegal actions.I don’t remember an outcry when Obama did this years ago.what about the people who are waiting to come here legally and doing it the right way? They are getting pushed aside, their wait is up to 3 years.Im an immigrant a legal one…Do it the right way or go back! Where were y’all under Obama? Quit cherry picking things that fit your agenda. That shows you really don’t care, just looking for attention. I attended this exhibition of democracy at its best. Appeared to be well received by the attendees and we heard some really good speakers. I am so hoping the few conservatives across the street heard the organizer state” Let this be clear, we do NOT support illegal entry into our country”. BUT, we object to innocent children being terrorized by American government authorities. We want these families reunited. It is difficult to any human not agreeing with that message. Anyone that does not, needs heaps and heaps of prayer. Thanks to Texas Rural Voices for providing this event. My reply to that is WHY NOW? This has been happening since 1996, under Clinton, Bush 44 and Obama, now all of a sudden it is a problem. Also, don’t forget that Trump signed an Executive Order to temporarily STOP this, it is dictated by law, and Schummer stated HE WILL NOT support any legislation to stop this. Secondly, I suggest you check out the latest stands from Democrat leadership, this week they have started calling for and introduced a bill that would get rid of ICE. They have STATED they want open borders. On another note, US citizens are separated from their children everyday when they break the law. The person responsible for the separation is the PARENT that brought the child on a long and dangerous journey then illegally entered another country. Why should people that come here illegally get special privileges that US citizens do not? There are over a dozen US consulates in Mexico PLUS the ports of entry where they can ask for asylum, these are the ones that intentionally BREAK THE LAW. Only about 10% of the children in US custody came with a parent. Most are sent on the long dangerous journey alone, just this week they rescued a seven year old from a child trafficker. Y’all have NO IDEA how it is in Mexico. These people simply want a BETTER LIFE for their children. Why isn’t Mr. Trump taking precautions with other minority’s. WHY just Latinos? Remember, WE ARE ALL immigrants. No one should feel entitled to be here nor there…..
Hello less than half coming through our border right now are hispanic. People from countries that harbor terrorists are coming in. Illegal IS NOT a race. There are illegals of all races. “Anonamous” – Yes, we are a nation of immigrants too, but most of us came before there was a country (meaning no laws had been enacted) or went through Ellis Island, were vetted and came the legal way. The point I think most of us are making is that it’s a crime to enter the US without credentials or visas. They are breaking the law – a federal one at that. This is the law: 8 U.S. Code § 1325 – Improper entry by alien, and it can be easily searched online for penalties. It includes penalties for eluding immigration officials, not entering a legal port of entry and cases of fraud. It’s not an entitlement thing – it’s a legal thing. If we tried this in reverse, we’d be lucky to get the “jail” you guys say is inhumane for the children. That’s a sad fact. My honest question though is you want them reunited… but don’t say where then to go. If you say “America,” you are supporting open borders. The exception is the rare amnesty validation. Plus, it’s been reported a good 4/5ths of the children illegally coming here don’t have a parent with them. How great was this protest to show we will speak out and speak often and overcome. Really. So, I would like an honest answer to an honest question. The only person responsible for a child being separated from their parent at the border is the parent that brought a child along while breaking the law. Us Citizens that break the law are separated from their kids every day, why should people these people get special privileges that are denied to US citizens? “At its core, asylum is an instrument to preserve the right to life. The Attorney General’s recent decision elicits deep concern because it potentially strips asylum from many women who lack adequate protection. These vulnerable women will now face return to the extreme dangers of domestic violence in their home country. This decision negates decades of precedents that have provided protection to women fleeing domestic violence. Unless overturned, the decision will erode the capacity of asylum to save lives, particularly in cases that involve asylum seekers who are persecuted by private actors. We urge the courts to respect and enhance, not erode, the potential of our asylum system to preserve and protect the right to life. Lets be honest, we are ALL immigrants! The POINT is reuniting the children with their families! Imagine yours being taken away and not knowing where they are at or if they are even ok. Just imagine that! Racism has been showing more after Trump was elected so YES, that is why NOW this is even a bigger problem! You can get mad about my post, but hey seems like you dont care anyway! Its All about the innocent Children! They are Gods children and so I CARE! HOWEVER, we came before the United States existed (and it’s laws were enacted), came to Ellis Island (where millions were also turned back for a variety of reasons, mostly health), or naturalized. We did it LEGALLY – that’s the point. The racism claim is an attempt to detract from a bigger point: it’s a FEDERAL misdemeanor to enter without credentials or a visa. Of note (as a voter who simply votes best candidate period) – the only group I see focused on race is the Democrats. Again – it’s crime, and just like the MILLIONS here who break the law here, they’re separated from their children. Additionally , it’s been reported 4/5ths of the children there cane with NO parent. You ask your opposition about if they care – I think the BIGGER question is do their own parents care what they’ve done? And are being told they shouldn’t have bothered and just cross illegally. I know it was said the protesters weren’t for “open borders…” but no one said what should happen once families reunited. You are absolutely correct in every point you made. Thank you! And Like I said, its about reuniting the children with their families. They are inncocent children. And i do think their parents were thinking about them, they were thinking avout getting them away from all the crime and giving them a better life. I also think they didnt realized how cruel the system is. They didnt think their children would be taken away. Again, its about reuniting the children with their families. Im sure they would be fine in jail having their children with them to love on them and care for them. Lisa, I think you’re missing the point. Our system isn’t cruel – it’s the same or similar regarding immigration as it is in Mexico and others: have your paper work or face the penalties. * Foreigners who fail to obey a deportation order are to be punished. (Article 117) – America doesn’t do this as much as they should. * Foreigners who violate the terms of their visa may be sentenced to up to six years in prison (Articles 119, 120 and 121). Foreigners who misrepresent the terms of their visa while in Mexico — such as working with out a permit — can also be imprisoned. Not to mention Lisa they will only take people who are useful to the country and bar citizenship to those who won’t be beneficial (opposite of what happens to America). 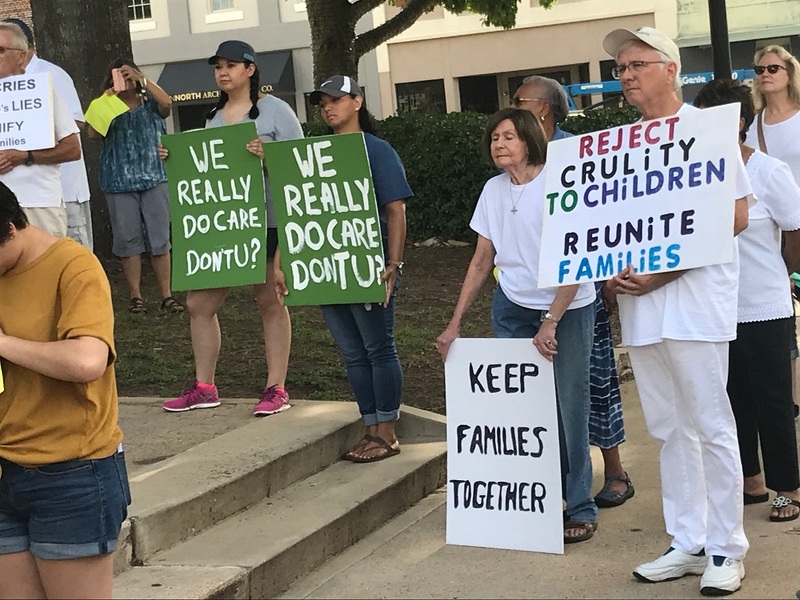 But there’s another issue that was overlooked (or ignored): The protesters here said just reuniting families in jail “wasn’t good enough.” So – you have too options: either send them back or release them into the states to “report” (most do not). You send them back, the protesters say it’s cruel. You keep them in jail, the protesters say it’s cruel. The only other option is to free them into the states, which is amnesty and that is unfair to the millions who actually OBEY our laws, come here legally, pay their dues but have to wait nearly three years (between 1-3) to be naturalized. To me – that’s honestly crueler: rewarding the people who don’t follow the law over the ones who do. Yet they march for illegals Kids…..
Trump 2020 is fox news and trump propaganda talking point machine like a robot. No real truth . America 2020 is realistic . Txjoe, you are the problem. I know personally how illegals do criminal acts against legall citizens and never pay for there crime. 100% Truth America 2020! Courtney Hacking’s husband Peter, 4-year-old daughter Ellie and 22-month-old son Grayson died instantly when an illegal immigrant without a driver’s license drove head-on into their car on March 31, 2016. Who is marching for them? 63,000 Americans have been killed by illegal aliens since 9/11, what about them????? ?